It’s cold over here on the East Coast and I, personally, enjoy the opportunity to layer and create a little bit more expression out of my wardrobe. So much can be done with the combinations of hats, shoes, coats and scarves that I find that winter is one of the few times I feel that I don’t repeat looks. The key to all of this variation is to have a solid foundation in your closet- and the most apparent article of clothing is your coat, so make sure it’s a versatile one. It’s true that because of the quality and quantity of materials, overcoats can be rather expensive. But since it can take the place of many of other coats, those saved costs should be kept in consideration- also, you do very often get what you pay for. Once you have made your selection, you will likely find yourself unwilling to step foot in the cold without it. 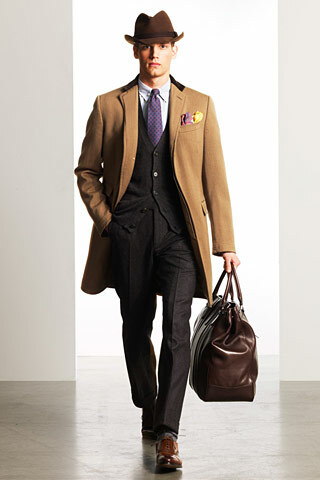 Overcoats are a staple and timeless style, and can quickly become your wardrobe’s best friend.